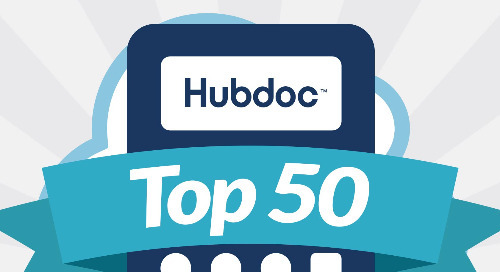 Hubdoc caught up with one of the Australia's leading cloud accounting firms, Growthwise, to get their insights on app fatigue. This is Part 1 of a two-part blog series. Within the last five years, there has been exponential growth in the number of available cloud accounting applications. In fact, it’s estimated that the cloud accounting ecosystem has doubled in size! 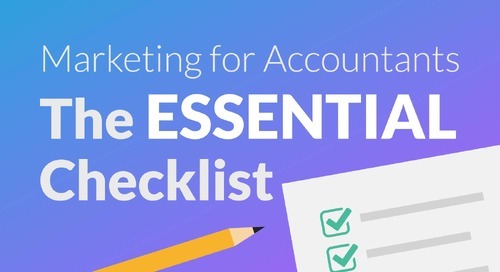 With thousands of apps flooding the market, accountants and bookkeepers may feel like they’re drowning in a sea of add-ons. While that might sound morbid (it is! ), I believe app fatigue can – and should – be characterized as an epidemic. The rapid spread and increase of advisors with app fatigue is causing many firms to overlook new apps, which could potentially impact their client experience and their firm’s success in the long run. I spoke with Beau Gaudron, Tech Ninja at Growthwise, to trade perspectives on the issue. App fatigue is the reluctance to explore new tech applications due to the feeling that there are just too many apps. As Beau explains below, the oversaturation of the market is a key contributor to this issue. Equally challenging is the daunting task of learning and adopting a new product. You just implemented software A that solves problem X, and now the thought of implementing software B that solves problem Y seems as tiresome as the issue you’re trying to solve. Plus, there are often costs involved with testing and onboarding new apps. Time spent implementing is a direct cost to a business. Additionally, many apps charge you to have your own account (even for testing!). Why is it important to acknowledge app fatigue at your practice? App fatigue can lead to the feeling that there are no further efficiencies to be gained in the market. This can also cause an unwillingness to explore new technology options, as well as redundancies in your tech stack due to a lack of understanding of your technology. Believing that there are no further efficiencies to be gained in the market is risky. When successful companies stop innovating or exploring areas of improvement (often due to current success), they might decrease opportunities for growth. We can look no further than Twitter and Yahoo to see the consequences of once hugely successful companies that stopped innovating. While Twitter has recently experienced stock plunges due to user growth issues, Yahoo was involved in the most disappointing $4.8 billion sale in the history of tech. Confusion over the ownership of your accounting tech stack can make the negative effects of app fatigue even worse. As Beau explains, this is a big issue for smaller firms. Recognizing that app fatigue is an issue faced by your firm and assigning someone to manage your tech stack are both important steps when starting to overcome app fatigue. Ignoring it won't make it go away! So, how do advisors continue to innovate and build an effective technology stack in an oversaturated space? Fortunately, there are ways you can efficiently evaluate accounting apps, navigate the cloud accounting tech landscape, and embrace change. 1) Understanding your business problems and how you're currently managing them with technology. 2) Evaluating your current technology stack and determining if there are any unresolved issues or inefficiencies based on the business problems you've identified. Assign an owner to audit the capabilities of your technology and ensure you're using all tools to their full extent. 3) Research, test, and implement new technology if you've identified a problem or inefficiency that your current accounting tech stack cannot resolve. Check out Part 2 of our app fatigue blog series, where Beau joins me once again to walk you through the steps above and discuss how to identify the accounting apps that are worth your time. Learn how to choose the right technology for your firm. Download our free app evaluation checklist!